1000 march in Chicago anti-war rally | Fight Back! 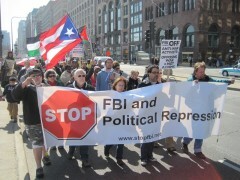 Chicago, IL - 1000 people rallied and marched here March 19 to mark the eighth anniversary of the war in Iraq. 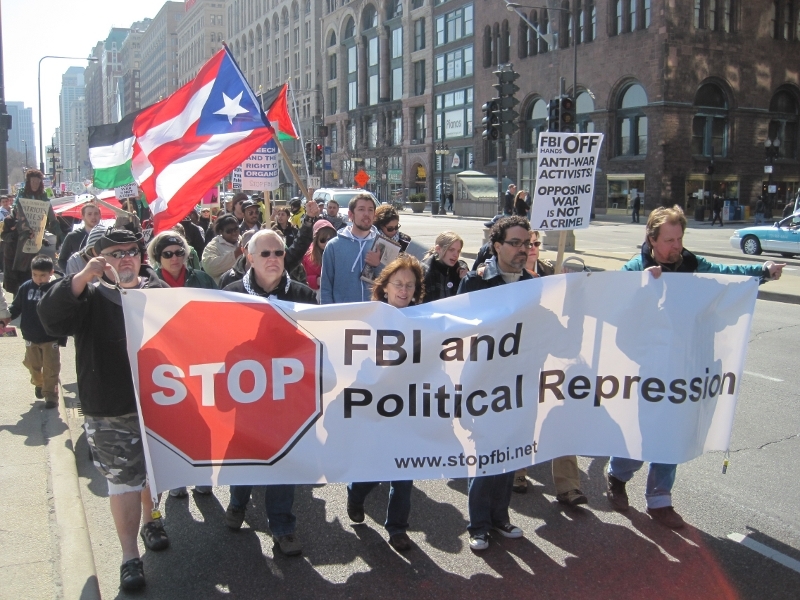 A large contingent was organized by the Committee Against Political Repression (CAPR), which included many of the 23 persons subpoenaed to a grand jury for because of their anti-war and international solidarity efforts. Chants and signs carried the message that activism is not a crime. Seven of those subpoenaed are Palestinians. 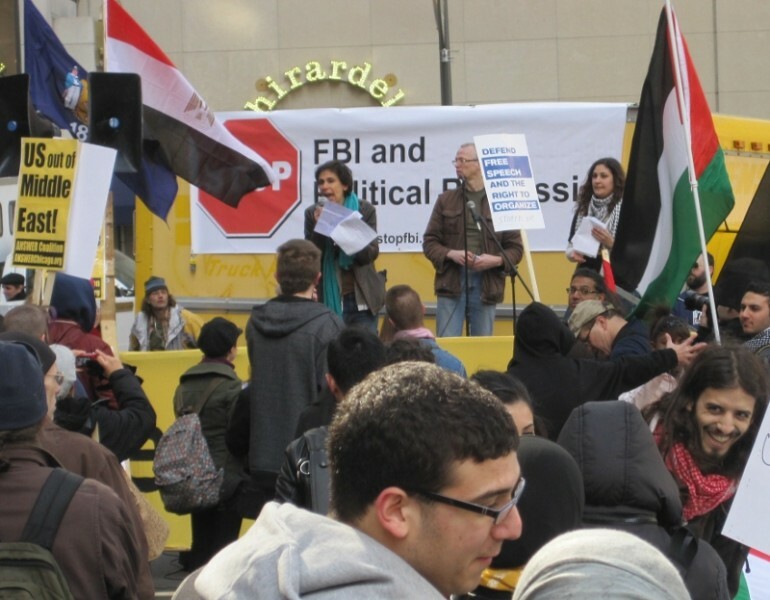 A large group of youth, mostly Arabs, carried a 60-foot long Palestinian flag behind the CAPR banner to show the unity of the Arab and Muslim communities with the fight to resist FBI and grand jury repression. Stephanie Weiner, whose home was raided by 25 agents last fall, was the first speaker at the rally at the end of the march. She thanked the anti-war movement for six months of support for the targeted activists, calling out, “Courage, courage, courage,” as the watchword for those standing up to the repression. She made it clear that she and the other 22 people will continue to stand on the side of the people suffering through U.S. wars and occupations. Several speakers condemned attacks against Libya. Ironically, just as the march was ending, the U.S. launched a massive cruise missile attack on Libya. As a result, March 19 will go down in history as the start date of two wars on Arab nations.